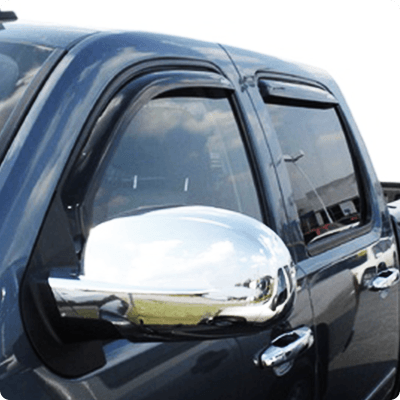 Bug Deflectors help keep rock chips off the front edge of your hood, as well as keep insects off of your windshield. Ventvisors allow you to have your window open just a crack in the weather. Both accessories can also add styling to your vehicle as they come in Smoked and Chrome finishes.